Robert Capa, whose real name was Endre Erno Friedmann, co-founder of renowned photo agency Magnum Photos, is widely considered one of the most influential figures in photography. A comprehensive retrospective of Robert Capa’s work exploring some of the most prominent photojournalism of the twentieth century is open at the Real Albergo dei Poveri in Palermo. The exhibition “Robert Capa Retrospective”, which takes place from 25 April to 9 September 2018, is supported by the Sicily Region Department for Cultural Heritage and Sicilian Identity in the framework of the events celebrating Palermo as Italian Capital for Culture 2018 and organized by Civita in cooperation with Magnum Photos, and La Casa dei Tre Oci. The exhibition includes 107 photographies that Robert Capa shot in the period between 1936 and 1954, the year of his death in Indochina, where he was killed by a land mine. 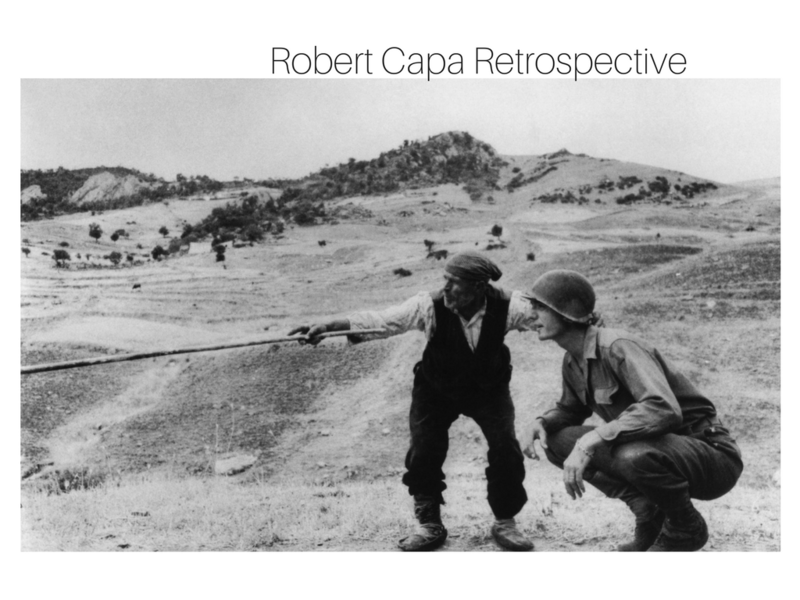 “Robert Capa Retrospective” is divided into 12 sections: Copenhagen 1932, France 1936-1939, Spain 1936-1939, China 1938, Great Britain and North Africa 1941 – 1943, Italy 1943 – 1944, France 1944, Germany 1945, Eastern Europe 1947, Israel 1948-1950, Indochina 1954. A special section is dedicated to portraits of artists and friends: Gary Cooper, Ernest Hemingway, Ingrid Bergman, Pablo Picasso, Henri Matisse, Truman Capote, John Huston, William Faulkner, Capa himlself together with John Steinbeck, and, finally, a portrait of the photographer shot Ruth Orkin in 1951. Another special section includes the photographies that Capa shot during his period in Sicily, where he arrived in 1943. Audio guides in italian and english, included in the tickect price, will be provided to all the visitors. If you are spending some days in Palermo, read my article “Palermo, what to see in the city”.